Biplanes are a lot of fun to fly, and they look great. 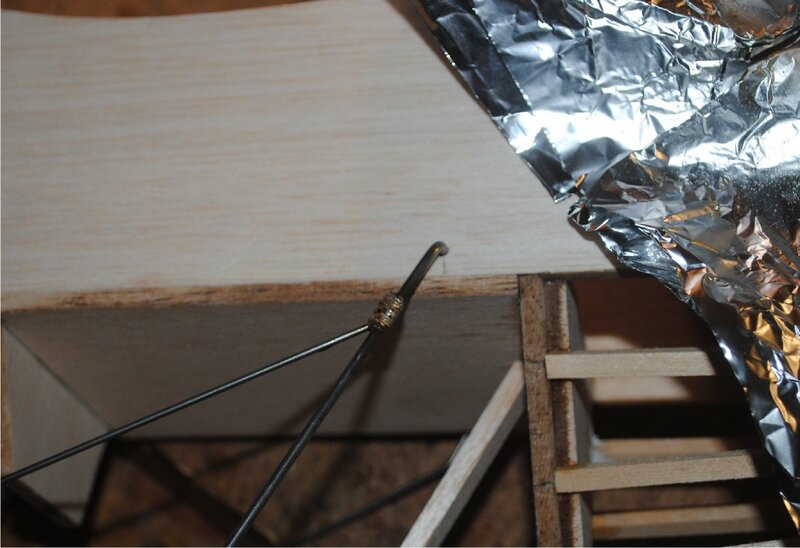 But sometimes it seems like a lot of work to build the struts for the top wing. 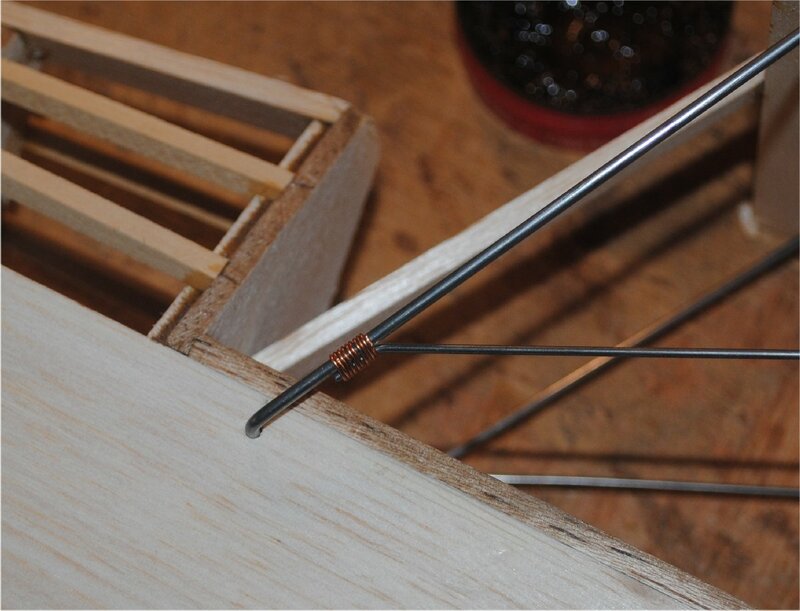 There is an easy way and a hard way to do just about any job, and building wire struts is no exception. If you look at enough plans you will see lots of different ways to do it, but eventually you will settle on your favorite methods. Consider the plan for the Sporty Ace biplane from RCM, designed by Chuck Cunningham. Here are the struts from the side, top and front. I’m currently building a Sporty Ace biplane. Just like all of my other building projects, before I did anything I figured out which details I wanted to change to suit my preferences. 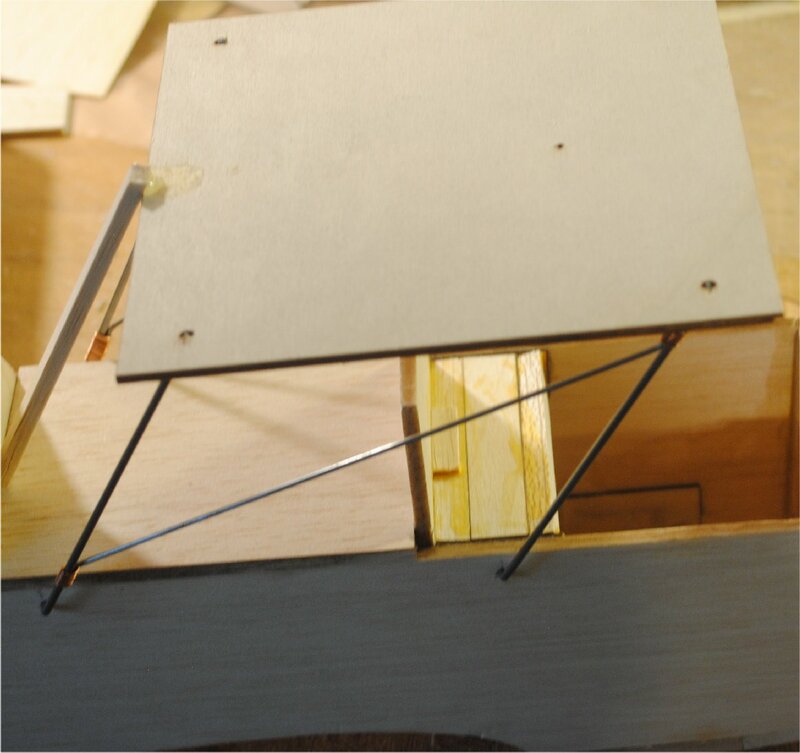 I decided I wanted bolt-on wings rather than rubber bands, so I ditched the plywood rails on top of the cabane struts. These will be replaced by wire terminals like this one. One of these will be soldered to the top of each strut. (Take the insulator off first. Burning plastic smells terrible!) Then the ring is bent horizontal, and a bolt goes through it into a threaded hole in the top wing. I also figured that I don’t need the horizontal wire shown in the front view because after the wing is bolted in place it serves the same purpose. I’m thinking about replacing it with an X brace from lower right to upper left, and vice versa, in the front and the back. This will give it four X braces, one on each side, and at the front and rear. The next little detail that I addressed was the attachment inside the fuselage. As you can see on the plan, old Chuck wanted me to clamp the strut wire to the bottom of a hard beam using a J-bolt. Notice that the nut is on top of the beam. That doesn’t seem right. What if the nut comes loose? I can’t get in there to fix it. So I decided that instead of a quarter inch beam I would install a 1/2″ thick beam made of four layers of 1/8″ ply laminated with Titebond. 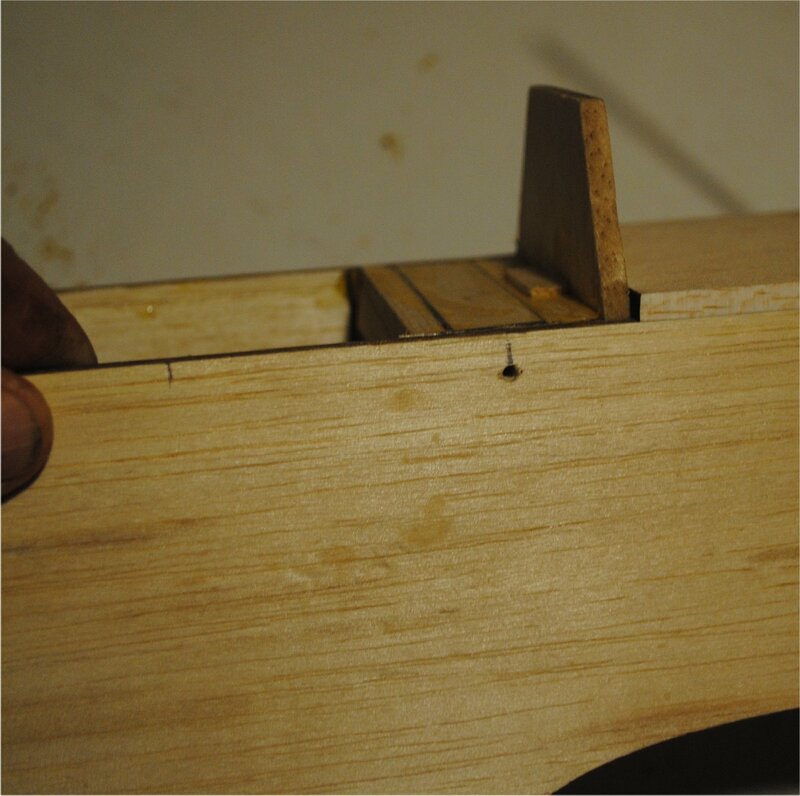 Then I drilled a hole into the middle of each end of the beam. 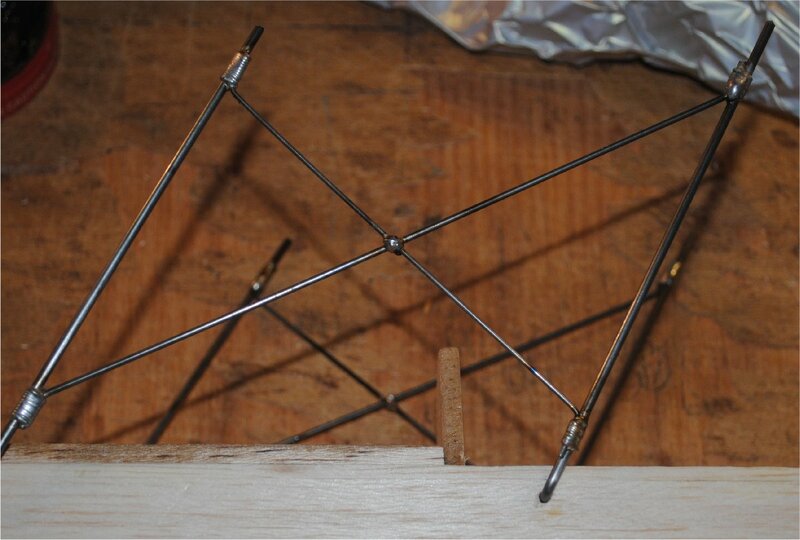 Each strut is a simple L shaped wire, which is very easy to make. 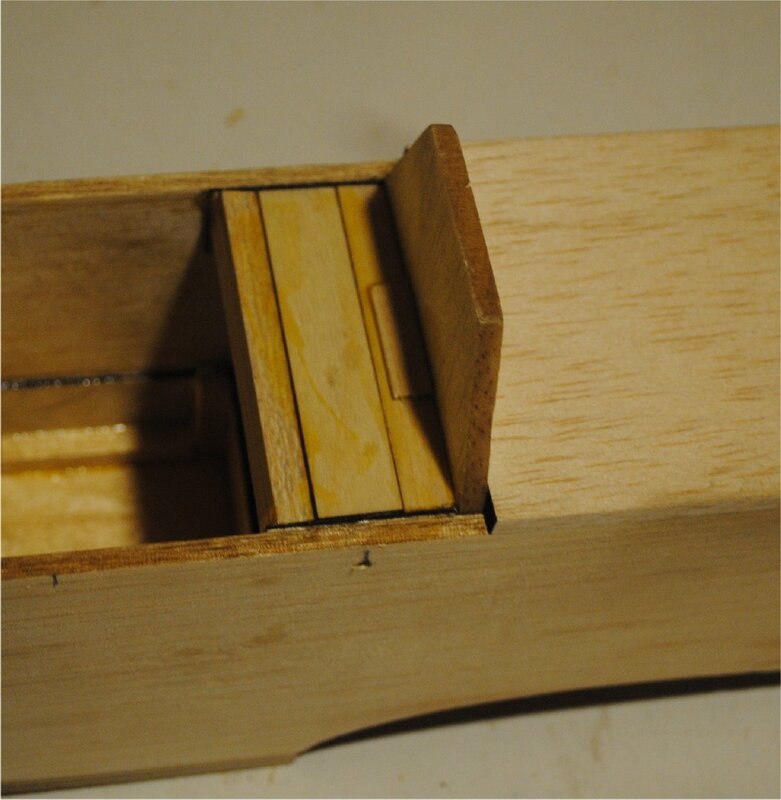 The little end goes into the hole and will be retained with epoxy. If they ever come out, I can put more epoxy in the hole and shove them back in. 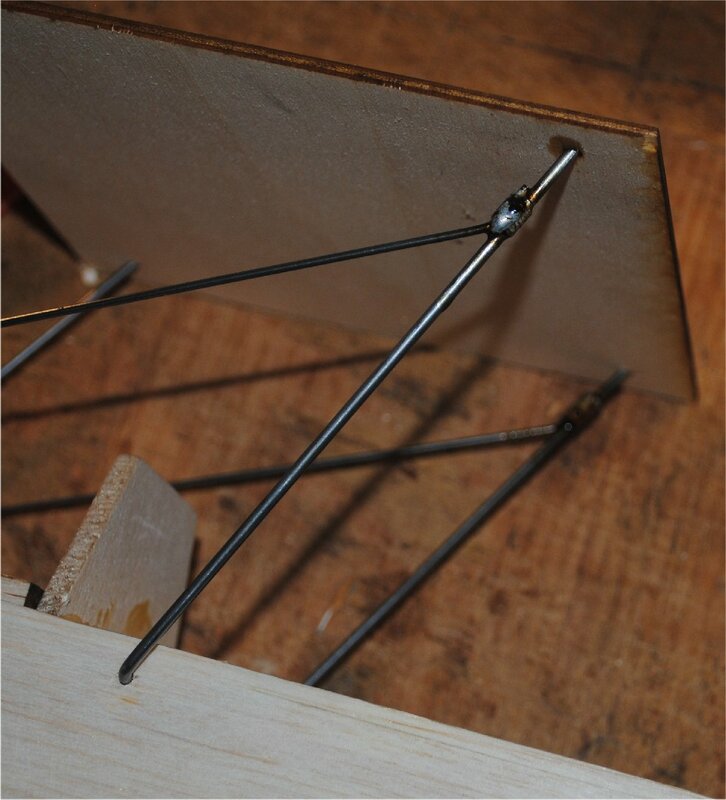 Next, the X braces are formed, put in place and wrapped with copper wire for soldering. Now you’re probably wondering how all four struts are held in place during this operation. Good question. This is the part that drives a lot of people crazy. 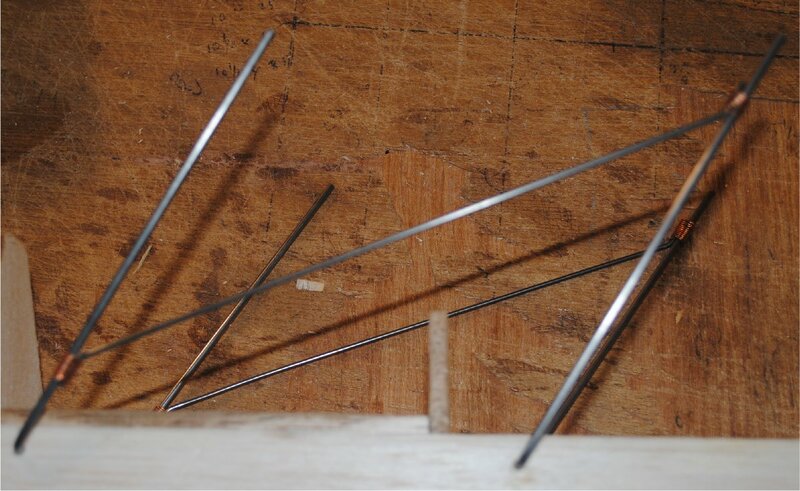 Here’s a photo of what usually happens to your struts when you’re trying to install cross bracing. 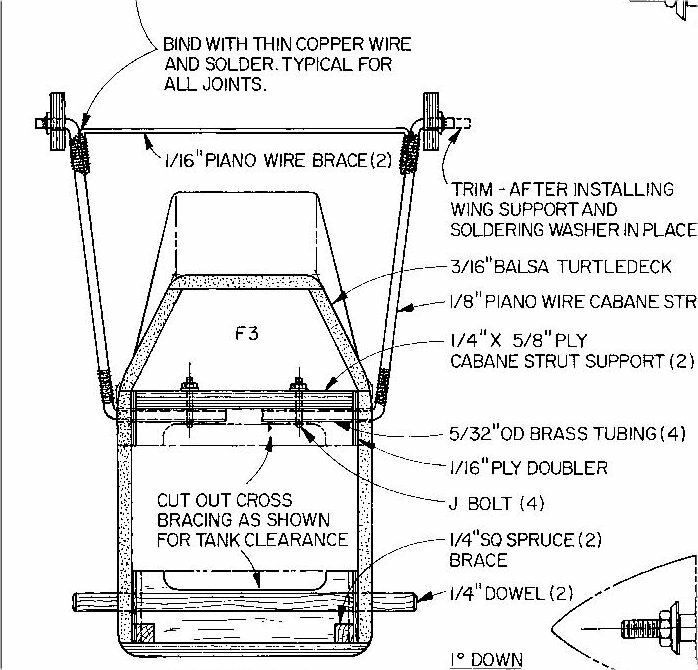 Clearly the best solution is to build a jig to tie the tops of the struts together so they don’t move. 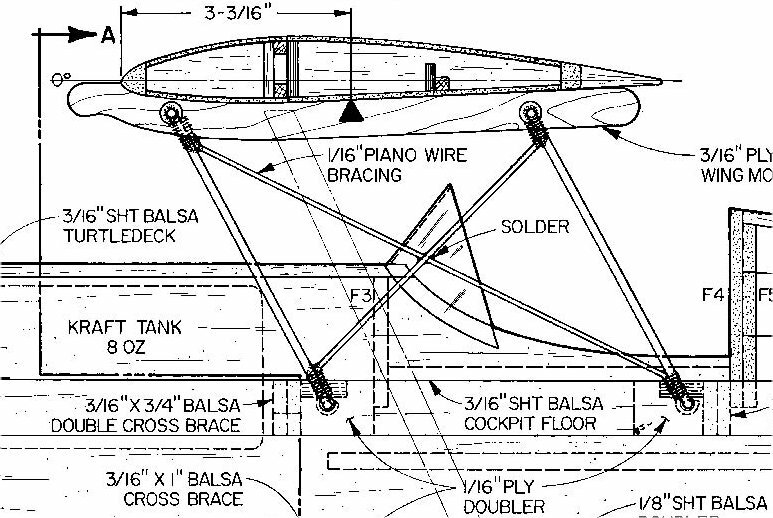 Referring to the plan, I discovered that the tops of the wires are 4.75″ apart from one side of the plane to the other. The front struts are 5″ in front of the rear ones. So I made a jig with the holes spaced correctly to hold the wires in place while I add the bracing wires. It’s a piece of lite ply with four holes in it. As you can imagine, when the wires are inserted in the holes they want to point straight up. 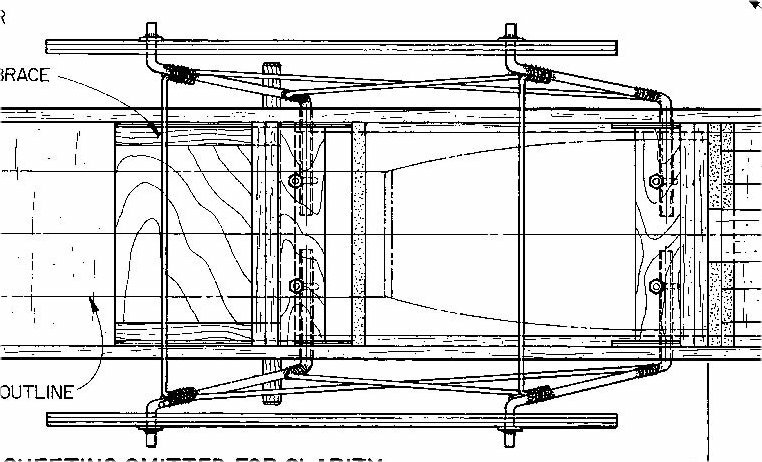 When the jig is pushed forward to give the struts the forward rake shown on the plan, the struts will elongate the holes slightly, and the whole thing wants to spring back to vertical. 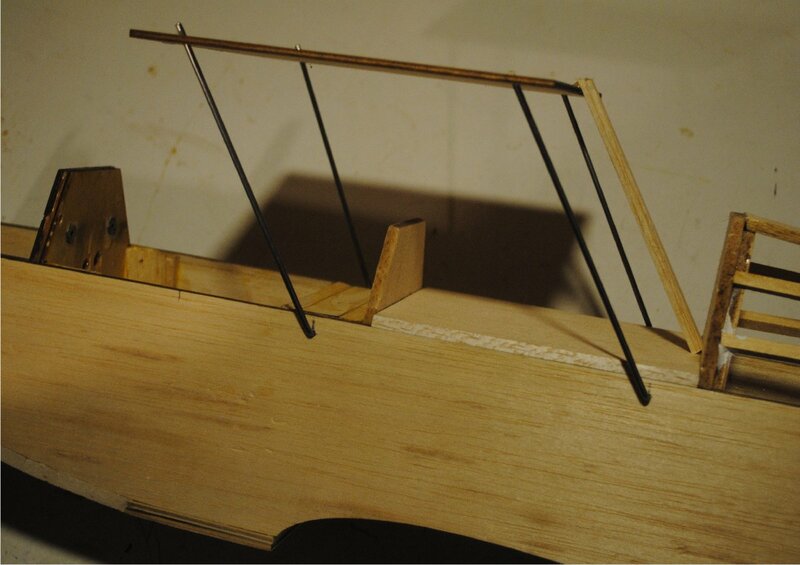 So I glued a balsa stick to the back of the jig and braced it against the back of the cockpit to hold the struts at the correct angle. Now the cross braces are measured, bent and cut. Don’t worry too much if the cross braces are a tiny bit too long or too short. They can be slid up or down a bit as long as you make sure that the main struts are in the correct position. 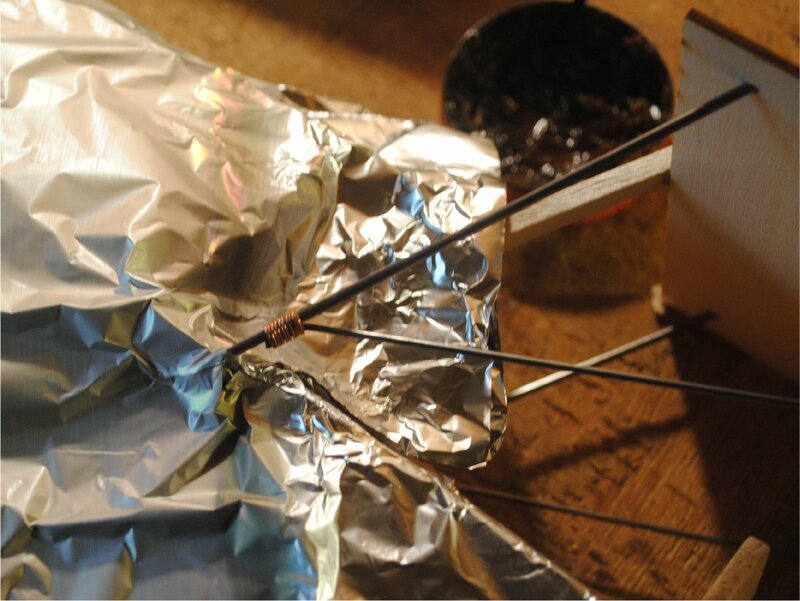 Your steel music wire should be wrapped with soft copper wire at the solder joints. 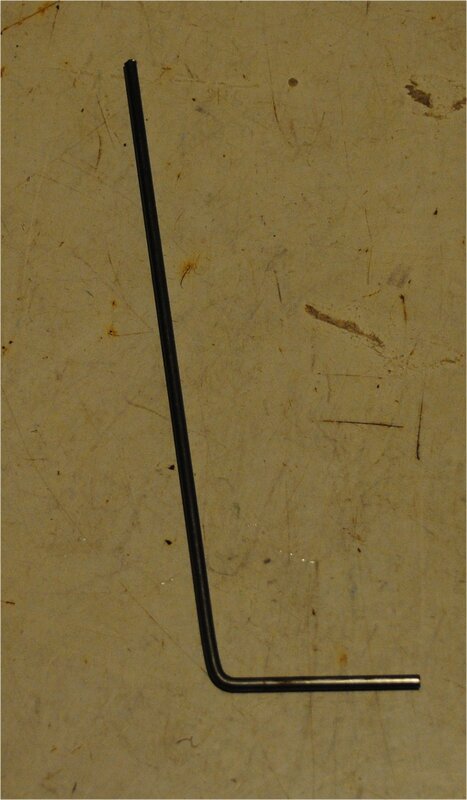 Make sure that your copper wire is not coated with lacquer. 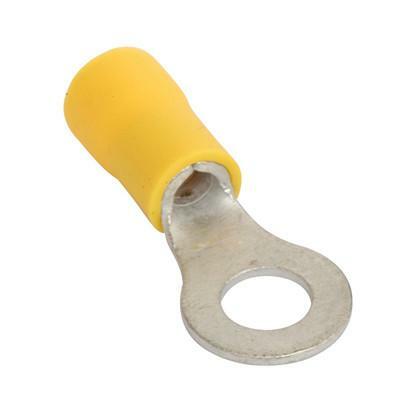 Lacquered wire can be called bell wire, transformer wire, etc. It’s intended for winding coils. What you want is plain, uncoated copper wire. I have a big roll of it that I found somewhere 25 years ago. I cut off little pieces as I need them. The packaging has been gone for years, but at a glance it seems to be about half a mm thick. The first thing to do is to clean all of your copper wire and music wire with alcohol or acetone. Trust me, your solder won’t stick until you do this. Steel wire always has oil on it when you buy it, and copper wire has tarnish on it. Next, wrap the joints so they look like the photos below. If you’re thinking ahead, you may observe that it is easy to hold the front strut and the cross brace with one hand while winding the binding coil with the other hand, but it’s hard to perform the same operation on the rear strut because you have to pass the copper wire through the hole every time. Here’s the easy way to do it. Wrap the easy coil first, then remove it and slide it onto the rear strut. Then stick the end of the cross brace into the coil. Now wrap the other coil in the easy position on the front strut. At this point the jig is put back in place to make sure that the struts are in the correct position. I always solder my landing gear and cabane struts while they are attached to the plane. This leads to a greater likelihood that they will be straight. I always position the plane so the joint being soldered is hanging over the edge of the table with a trash can below for catching drips. The wires being soldered should be horizontal or close to it. I always use paste flux and 60/40 solder, but a lot of guys swear by silver solder because it’s stronger. It’s harder to make silver solder stick, but if you can hack it, take a whack at it. I do the outermost joints first to give strength to the structure so it can withstand handling. It’s a little bit ugly, but the brown and black garbage can be removed with acetone. 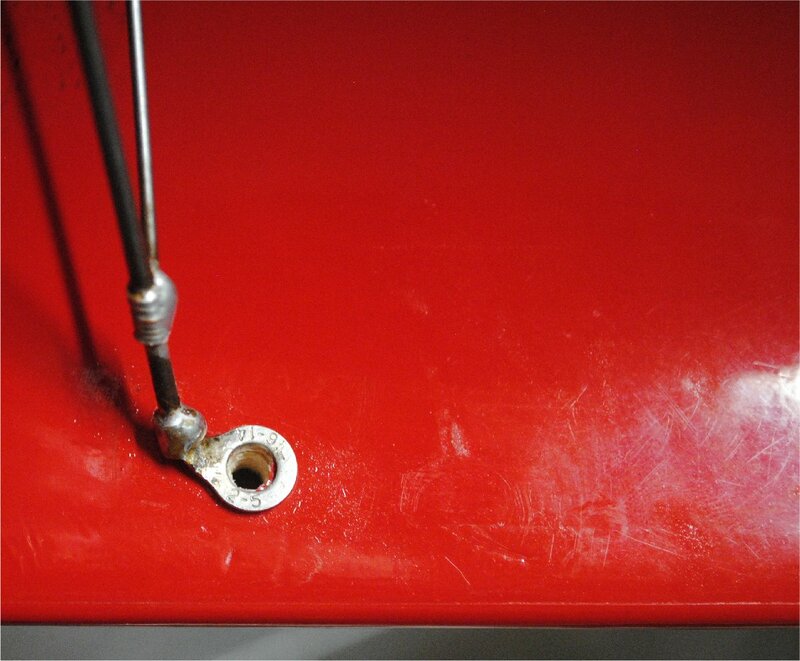 The joints at the rear struts create the risk of setting the plane on fire with the propane torch. I use aluminum foil to prevent scorching. I folded a piece of foil in half to make a double layer, then I cut a slit in it, placed the slit around the strut, and overlapped the sides to close the slit. I suppose you could do it with a single layer, but I feel more comfortable with two. Now it’s ready for soldering. 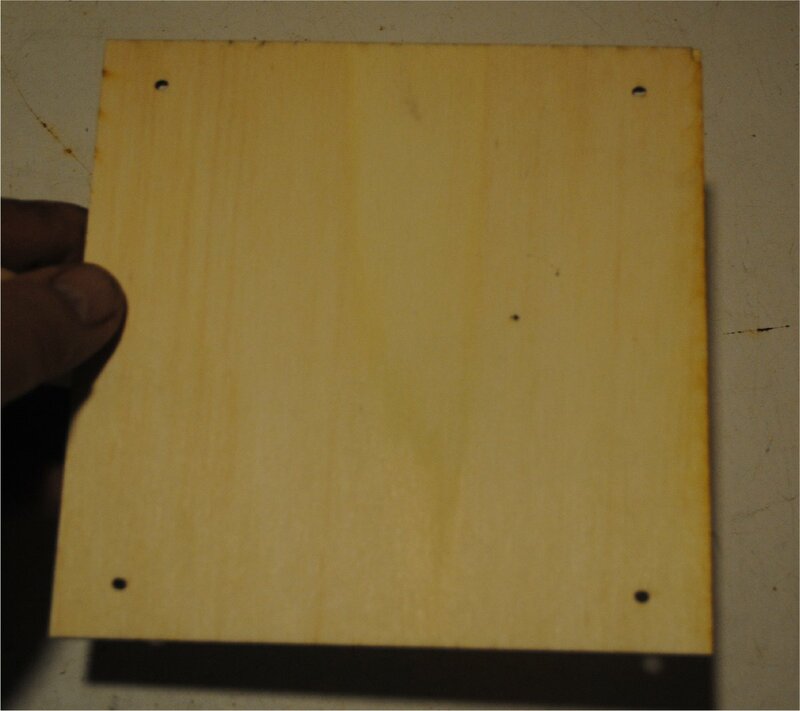 After soldering, the wood isn’t scorched, and due to proper positioning, there is no flux on the wood, either. 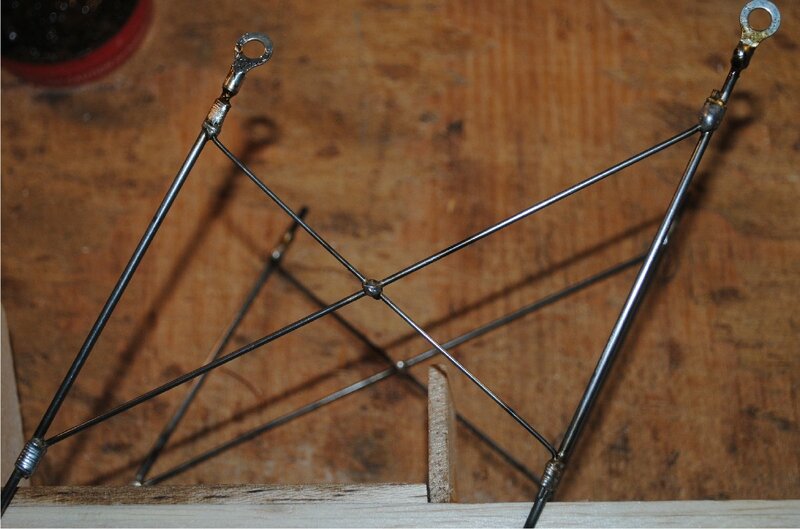 Next, the other braces are wrapped and soldered in the same way, forming an X on each side. I like to make a soldered joint where the two cross braces form an X, to prevent chattering. Now it just needs the bolt lugs on top of the struts. These are crammed into place and soldered. Each eyelet is bent 90 degrees to accommodate a vertical wing bolt. 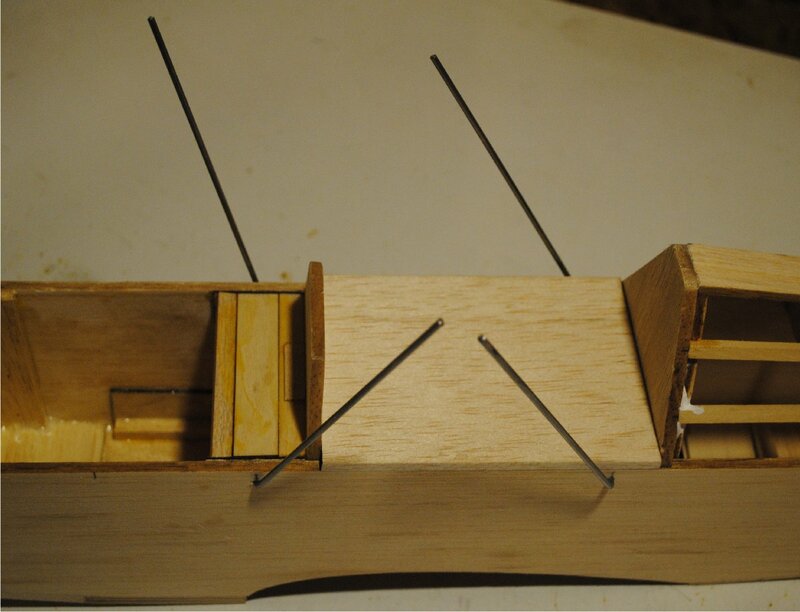 The top wing is laid on the table, the fuselage is placed upside down in the correct position on top of the top wing, and the four bolt locations are marked with an ink pen. Holes are drilled and tapped for nylon bolts. The bolts are trimmed to about half an inch in length, and are screwed in from the bottom at the flying field. 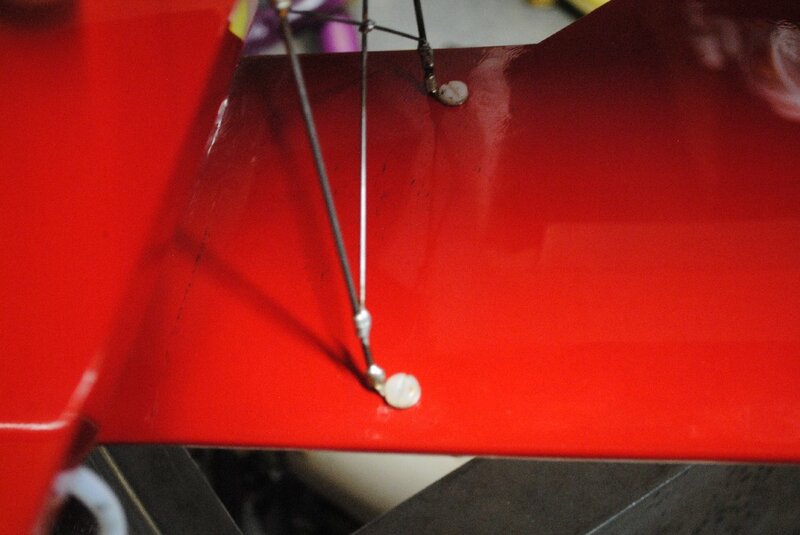 Here’s a photo of what it looks like with the with the wing bolted into place, and one with the bolt out of the hole. These photos are both taken from the bottom, looking up at the top wing.